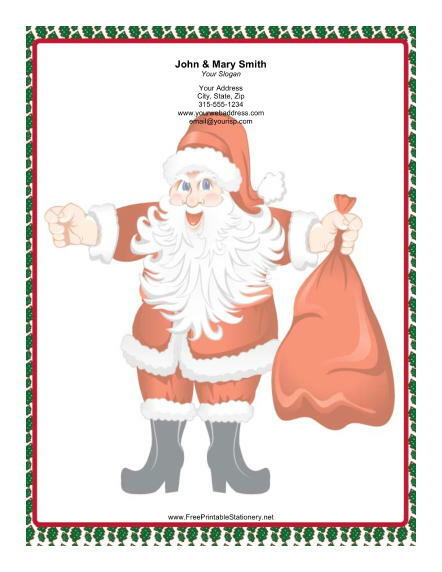 A large jolly Santa Claus with a big bag of Christmas gifts is included on this holiday paper. He is surrounded by a red holiday frame and a Christmas tree border. This festive stationery is perfect for sending Christmas newsletters or holiday greetings to loved ones.